In September the weather cooled off so that while the days were not exceedingly hot, the desert nights became very cold. Plagues of flies and mosquitoes also bedeviled the troops wherever they went. Supplies of cold weather blankets and uniforms were limited, delayed both by logistics and the constant uncertainty of how long the Massachusetts troops would be remaining in the area. Despite this uncertainty, it was clear that the presence of the National Guard on the Border was to become more permanent. Camp Cotton thus underwent a transformation from shelters of canvas and dirt to more durable wooden facilities. Wooden walls and floors were also installed inside the pyramidal tents. 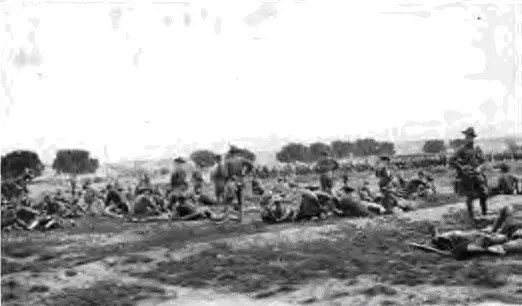 During the first half of September, the Regular Army evaluated the standards of the Massachusetts troops through a series of inspections followed by a Brigade march which began on September 13, 1916 in order to test the men’s strength and endurance after three months of active duty. A military parade was performed on September 19, consisting of 35,000 Regular Army and National Guard troops which was the largest military column seen within the United States since the Civil War. 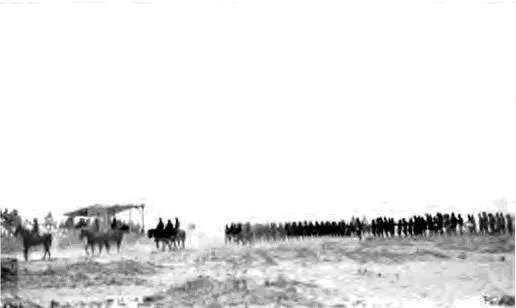 The parade was formed at El Paso and marched to Fort Bliss where it passed in review and then returned. 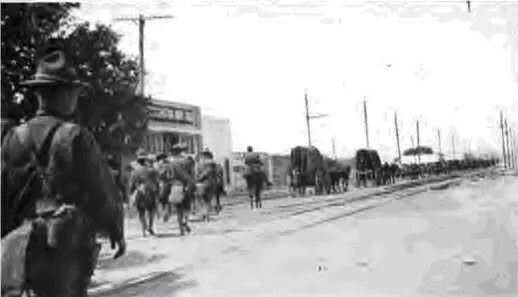 As the parade had proved to be a great success, the Massachusetts troops were then ordered to perform a long, 14-day campaign march beginning at the start of October. Read Soldier’s Mail for September, 1916 here.